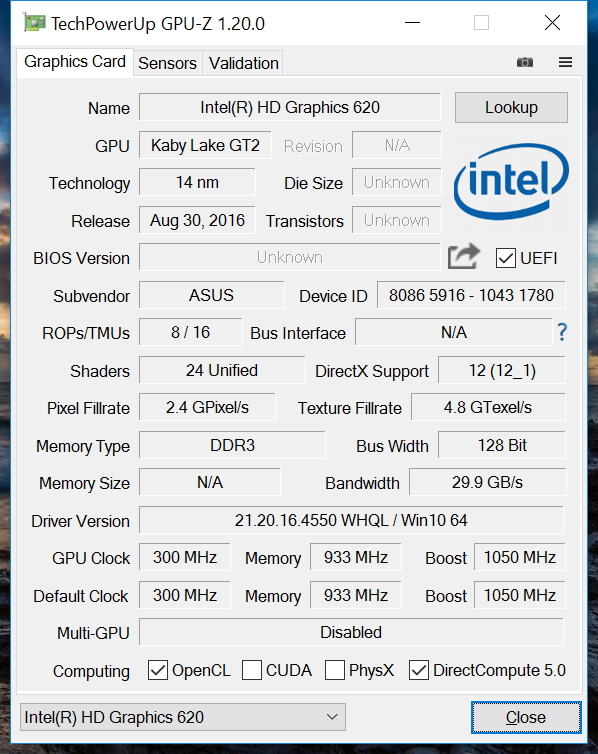 The reason for this update is to analyze the performance difference of the Asus B9440UA-GV0100T (Intel Core i5-7200U, 8 GB of RAM, 256 GB SSD) presently priced at about 1050 Euros ($1200) and the approximately 300 Euros (~$343) more expensive GV0101T with an i7-7500U, 16 GB of working memory, and a 512 GB SSD. Since the models do not differ otherwise, we refer to our actual test for information concerning case, input devices, speakers, etc. We use the same comparison devices in this test, but also add the GV0100T for making a direct comparison possible. 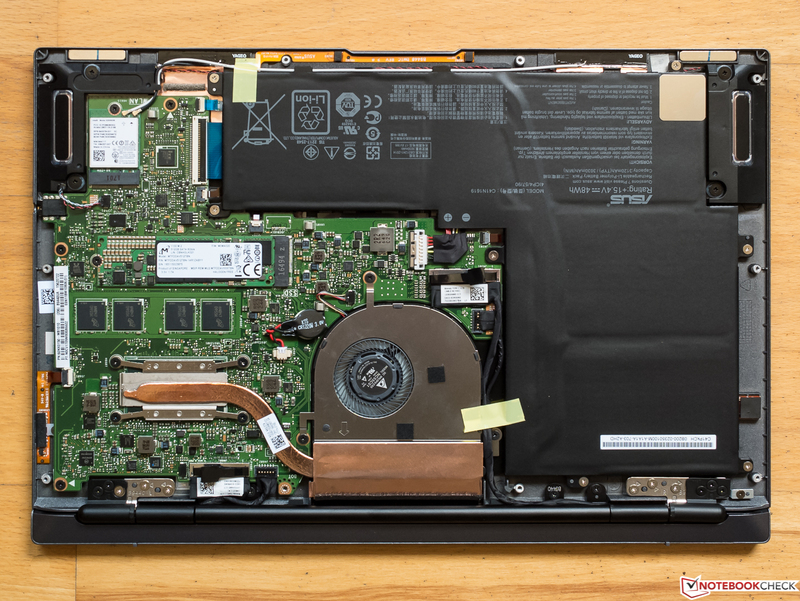 It should not be surprising that such a thin and light laptop does not allow accessing the battery from outside or that a maintenance hatch is not installed. However, the base tray is secured by ten Philips screws and it is easy to remove. The Wi-Fi module, SSD, fan, and the glued battery can then be accessed. However, opening can result in the loss of warranty. 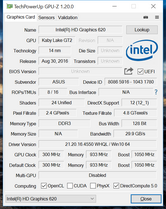 While the GV0100T sports the very popular Intel Core i5-7200U (2x 2.5 - 3.1 GHz, Hyperthreading, TDP 15 W), the i7-7500U (2x 2.7 - 3.5 GHz) is inside the GV0101T. 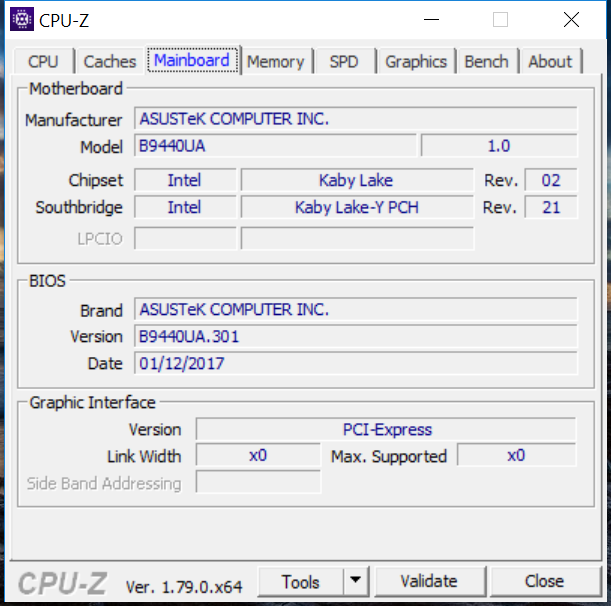 The only difference between the two Kaby Lake processors is found in the base and Turbo speeds. 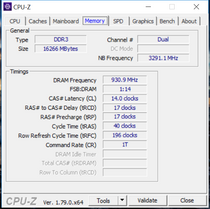 The i7 clocks 200 and 400 MHz faster. 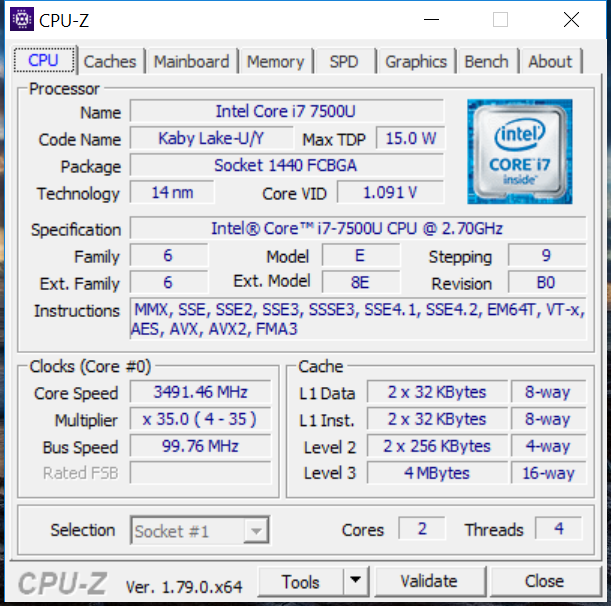 In view of the tight TDP, we will have to wait and see whether the i7 can convert its clock speed advantage in a 1:1 higher performance. 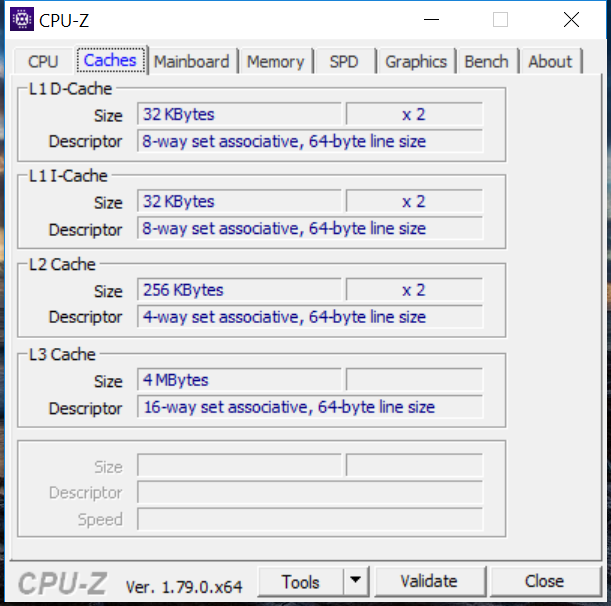 Looking at Cinebench R15, the Core i7 can outperform the i5 in the cheaper AsusPro B9440UA by 7% in the single-core test and by 5% in the multi-core test. When comparing all 7200 models assessed to date, the one in the GV0101T only presents an average performance when all cores are loaded, and it even falls behind the mainstream by approximately 4% in the single-core test. As a reminder: the i5-7200U in the GV0100T does a better job compared with its colleagues and is in the upper field there. 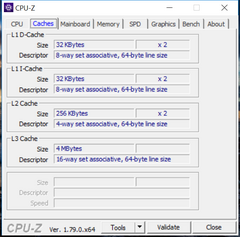 As the graphs about the clock behavior during permanent load illustrate, the i7 can barely distinguish itself from the i5 during permanent load. The low ULV TDP of just 15 watts will not be as limiting on the i5 in terms of Turbo utilization though. This lets the performance gain of the more expensive CPU shrink to a negligible degree in most applications in practice. Idle scenarios with short load peaks might benefit (insignificantly) from the much higher single thread Turbo. Like the GV0100T, the scores do not change in battery mode. 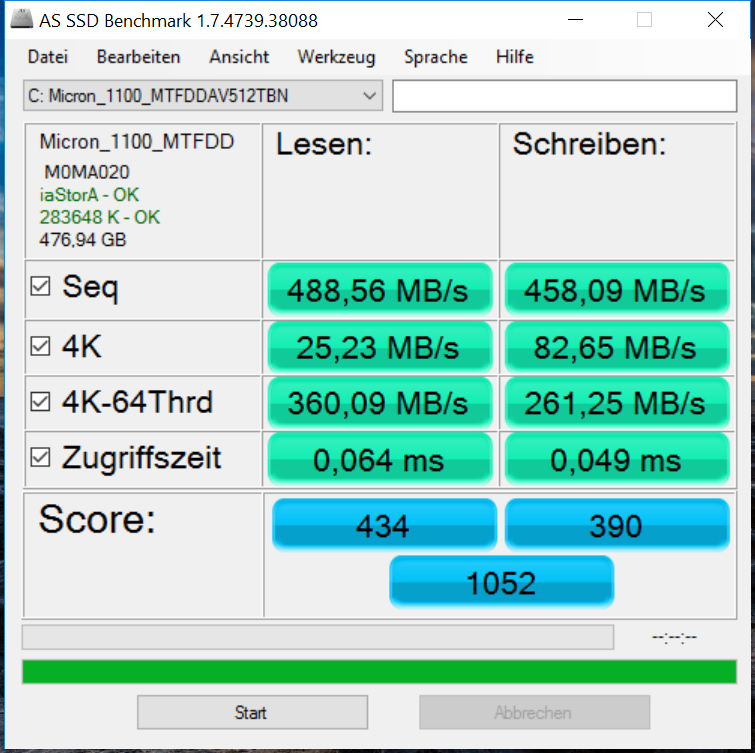 The assessment of the total performance with PCMark 8 confirms that the slightly faster platform of Asus' B9440UA-GV0101T can hardly convert its higher potential in higher performance. 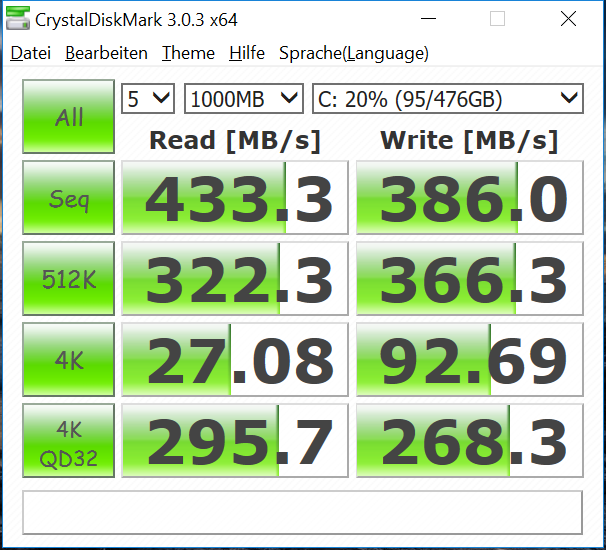 Although the GV0101T only sports a higher capacity model (512 GB) of the same Mikron SSD as in the cheaper GV0100T (256 GB), the 512 GB model is slightly better especially at reading small random blocks of 64 threads simultaneously (except in server systems, it is usually not more than 4 threads in practice) and in the write speeds according to AS SSD. CrystalDiskMark 3.0 sees this a bit differently, though. 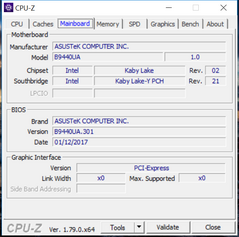 The Intel HD 620 GPUs in both B9440UA models present exactly the same specifications and clock rates. Thus, they logically achieve an almost identical score in 3DMark 11. The advantages of the more expensive GV0101T are within the measuring tolerances in 3DMark (2013). We compared the achieved frames per second using the lowest settings in Witcher 3. 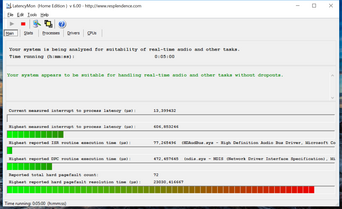 The allegedly faster GV0101T even lags behind by approximately 2 FPS, which is also within the measuring tolerance. 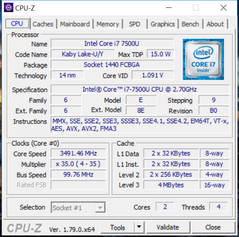 It is imaginable that the CPU part of the i7 clocks a bit higher than that of the i5. 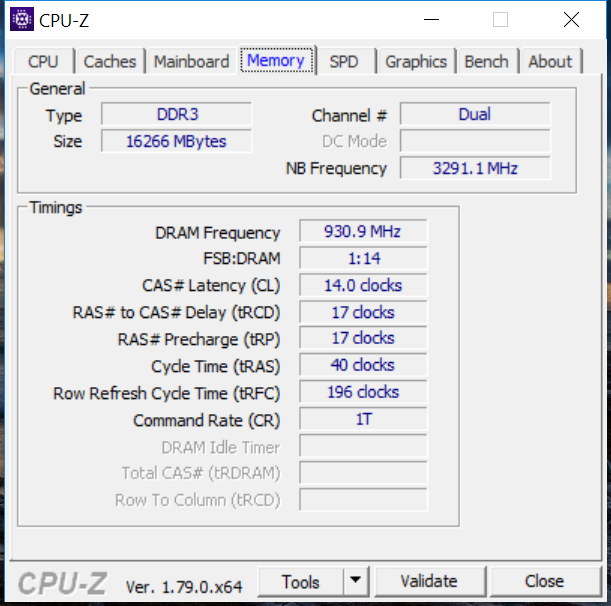 Consequently, it treats itself to a big piece of the TDP pie at expense of the HD 620 and that the i7's HD 620 cannot quite reach the clock speed of the i5. 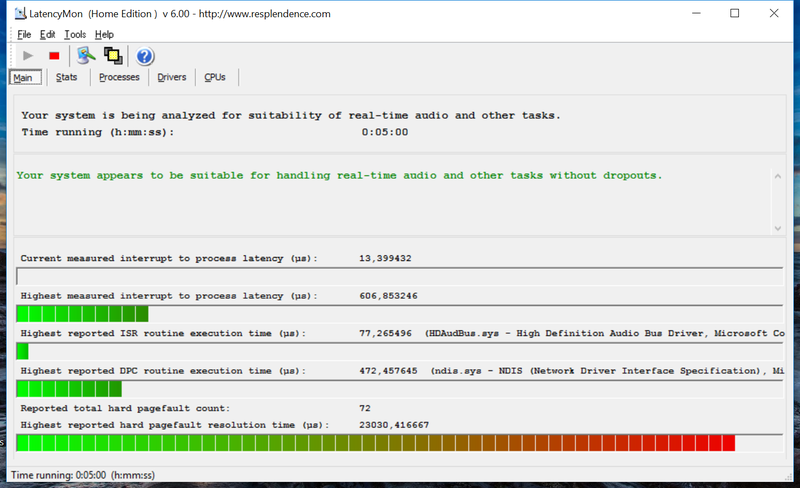 We now dedicate ourselves to the battery life in our practical Wi-Fi test with reduced brightness. The nominally slower GV0100T only manages 3% more with an identical battery capacity. This indicates a very similar power consumption, and it is again within the range of measuring tolerances. We recently published a special article on how to recharge lithium-ion batteries properly with some useful tips. Asus Pro B9440UA-GV0101T - courtesy of Asus Germany. The GV0101T model with an i7, 16 GB of RAM and a 512 GB SSD is roughly 300 Euros (~$343) more expensive than the GV0100T with 8 GB of working memory and a 256 GB SSD. However, apart from the larger storage device, it hardly offers an added value. Frequent, excessive multitasking and/or Photoshop with several large layers will likely benefit from the double RAM size. Pure office users will be better off with the cheaper model in our opinion. One last note: Other testers of the GV0101T model reported about a sometimes poor or delayed touchpad responsiveness. We did not notice this in our actual review of the GV0100T, but our review sample of the more expensive model also caused occasional problems. 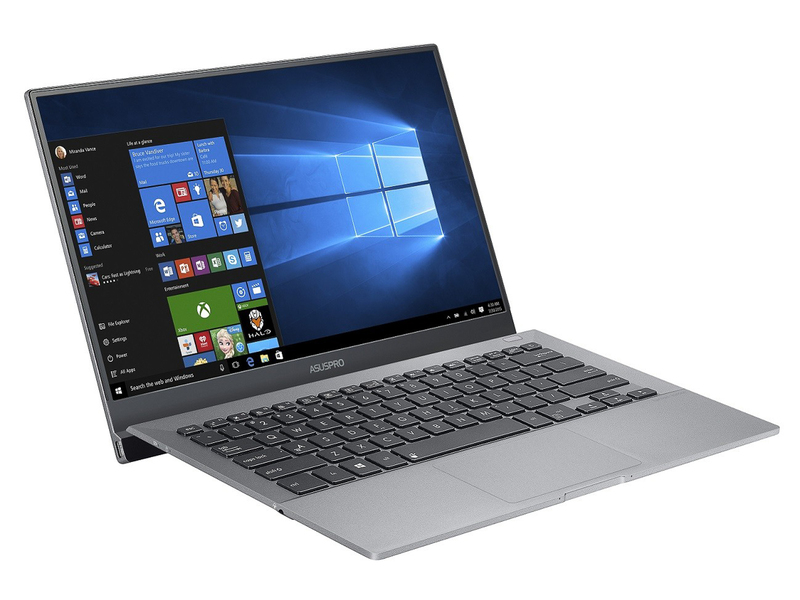 This link leads to our first review of the Asus AsusPro B9440UA-GV0100T.